Amazon’s “other” category in its earnings filing, which typically represents a catch-all category for companies, has more than double in the third quarter of 2018 to $2.5 billion, up 122% since the year-ago quarter. The “other” category mostly consists of advertising revenue, so The Wall Street Journal suggests a rebrand for the category, at least in Amazon’s case. eMarketer estimates Amazon will close 2018 with 2.1% digital ad revenue market share worldwide reaching 3.5% by 2020. During the earnings call on Thursday, Brian Olsavsky, Amazon chief financial officer, pointed to Amazon Web Services and Advertising as two segments with very strong growth in the past quarter. 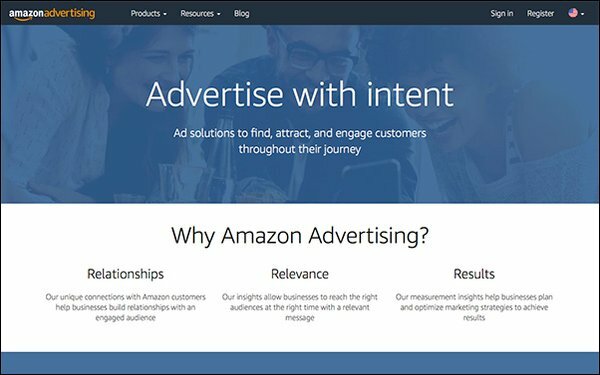 “We're continuing to invent both on the product side, the tools side with our goal being improve the usability of the tools for advertisers, make smarter recommendations for customers, automate activities so that advertisers don't have to work as hard, and invent new products for advertisers,” he said. Dave Fildes, director of investor relations at Amazon, also dispelled any rumors of plans for paid advertising on its voice assistant Alexa, as well as Prime Video service. Overall net sales for the third quarter rose 29% to $56.6 billion, compared with $43.7 billion in the third quarter of 2017. Excluding the $260 million unfavorable impact from year-over-year changes in foreign exchange rates throughout the quarter, net sales increased 30% compared with third quarter 2017, the company wrote in its filing.